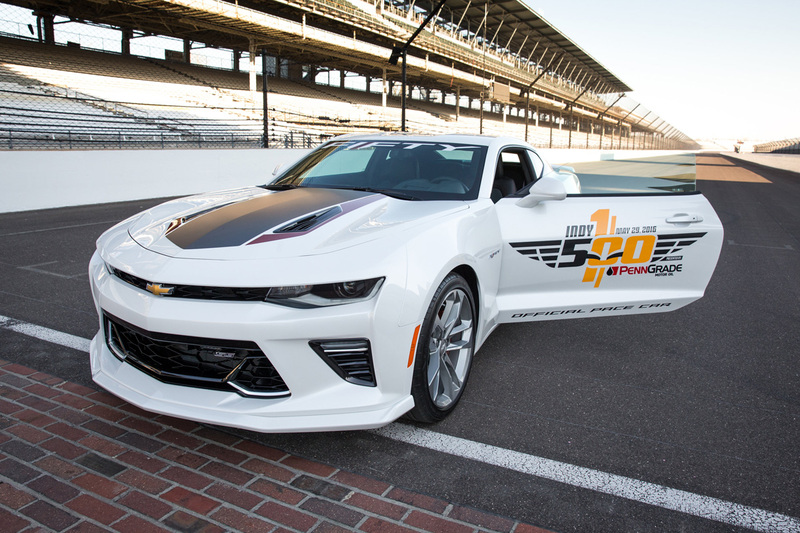 At the end of May, a special version of the 2017 Chevrolet Camaro 50th Anniversary Edition will be the pace car for the 100th running of the Indy 500 race, piloted by none other than Roger Penske. We’ve got a full review, coming up. 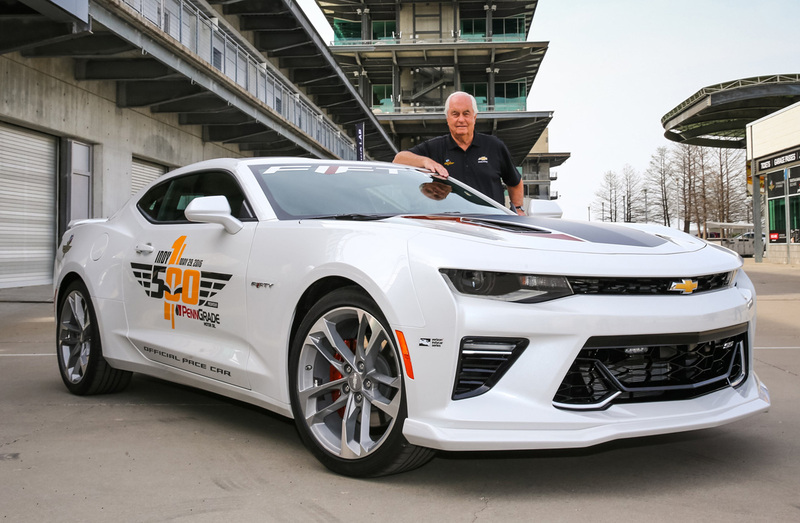 Two names synonomous with Indy are automaker Chevrolet and motorsports legend Roger Penske. 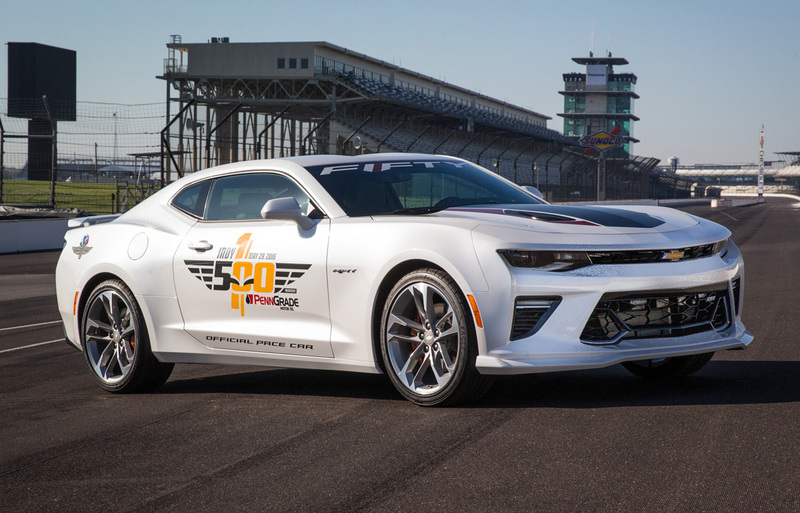 And with this year being not only the 100th year of the famous race, and the 50th year of the Chevrolet Camaro, it seems fitting he will be at the helm of this year’s pace car. 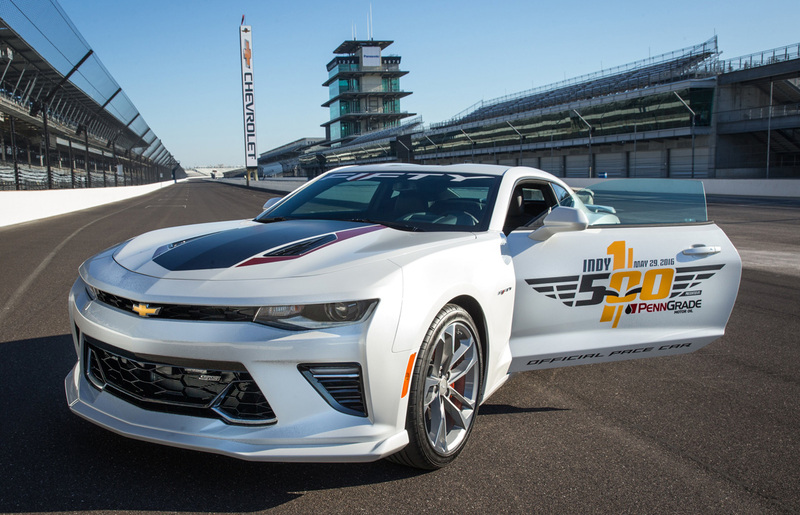 And pacing the race will be one of four special versions of the 2017 Chevrolet Camaro 50th Anniversary Edition that goes on sale later this summer. 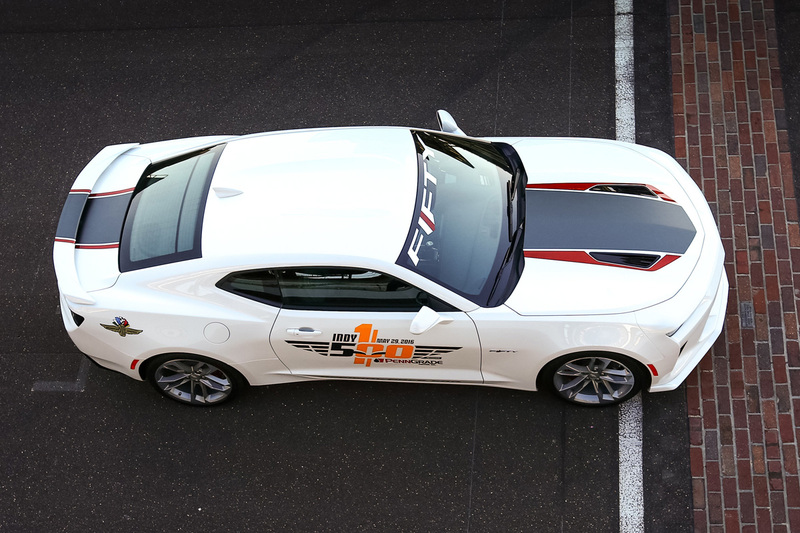 It too is fitting since the first 1967 Camaro paced the race, in addition to seven additional times since. The 50th Anniversary Camaro will be available in both coupes and convertibles only in Nightfall Gray Metallic. 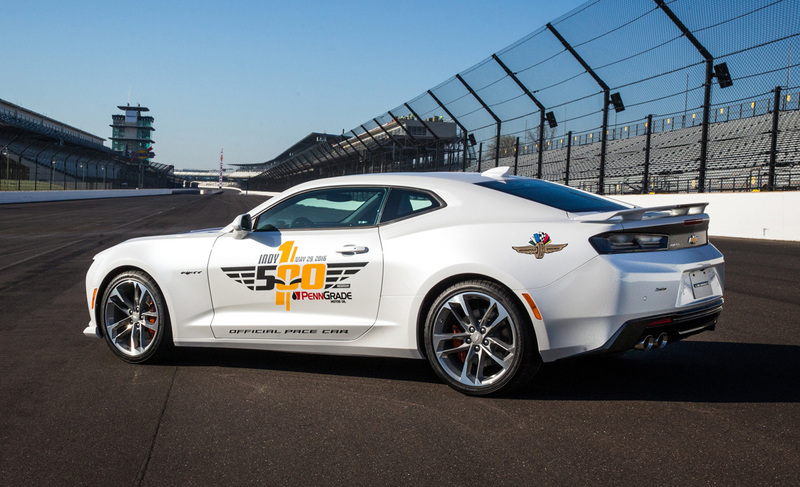 The four cars built to serve as Indy 500 pace cars are Abalone White, but aside the Indy graphics, represent the production version very closely. 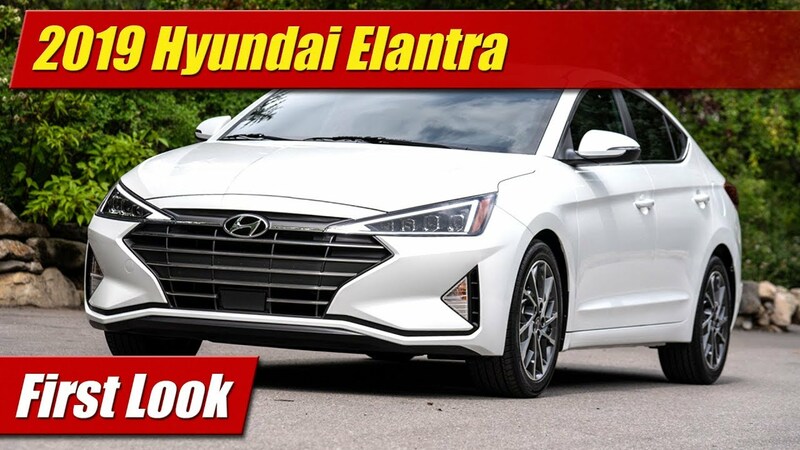 These include the special 50th Anniversary grille design with satin chrome trim down low and a body color front splitter. 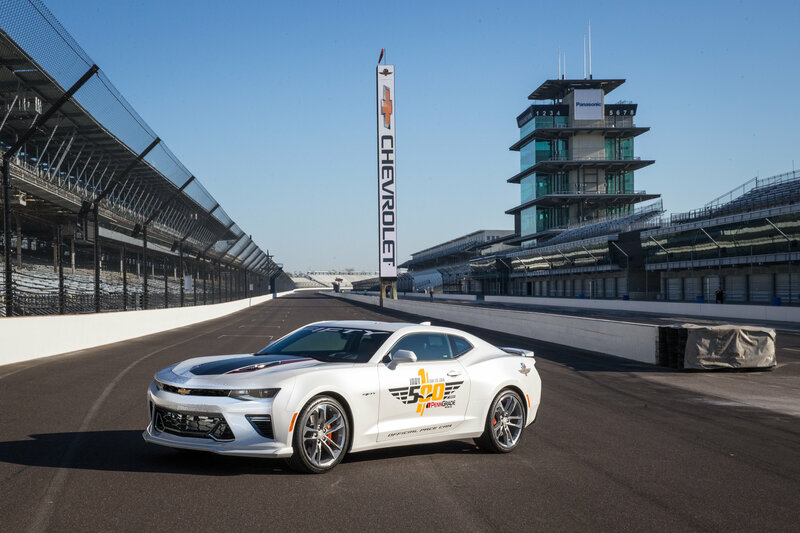 It also gets a unique 20-inch wheel design to go along with orange brake calipers front and rear on the SS, and at the front of the 2LTs. 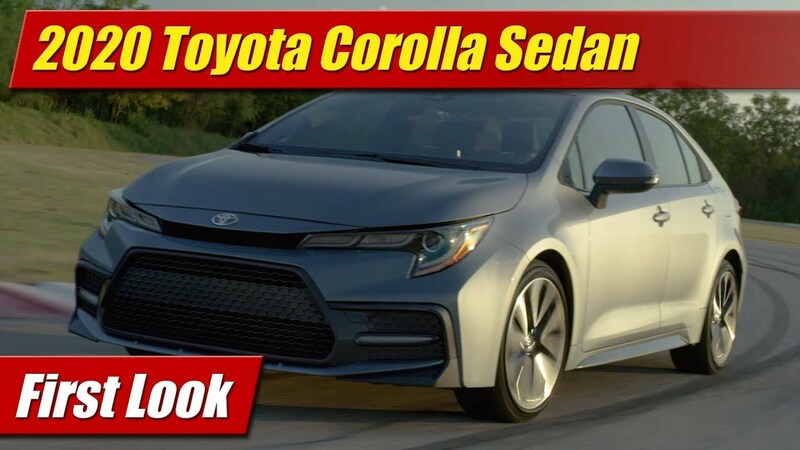 The interior will get a special black leather seating and trim package with suede inserts and orange accent stitching. The car will have special 50th Anniversary treatments on instrument panel, seat backs, steering wheel and illuminated sill plates too. 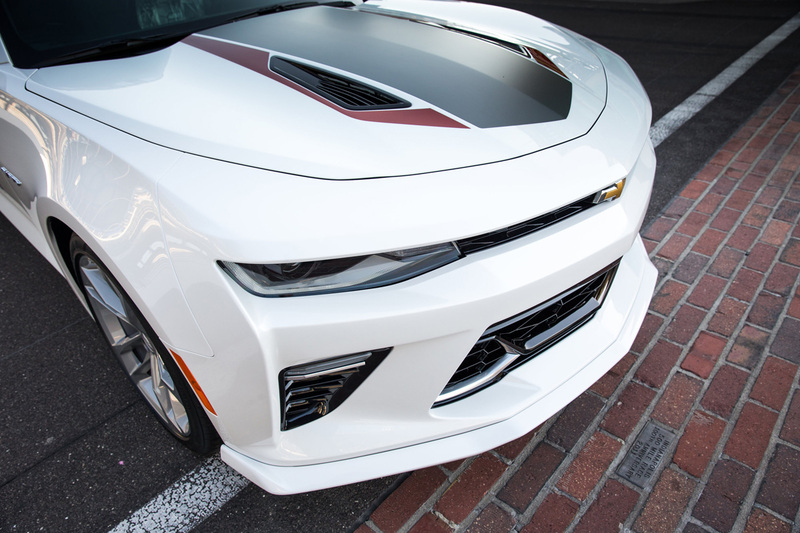 50th Anniversary graphics are also found on the hood in a two-tone stripe set and on the rear tailight panel with black-out trim – a touch sure to become popular with Camaro owners looking to modify the appearance of their cars. 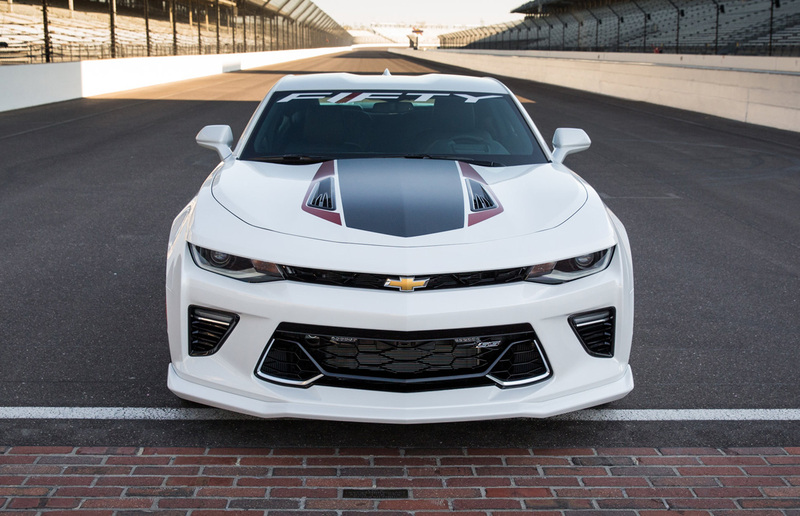 The 50th Anniversary Camaro as I mentioned will be available in both SS and 2LT trim levels which include both four-cylinder and V6 engine choices. Coupes and Convertibles will be available, the convertibles getting black tops. Seen in our footage throughout this video has been Indy team owner Roger Penske testing the car earlier in April. 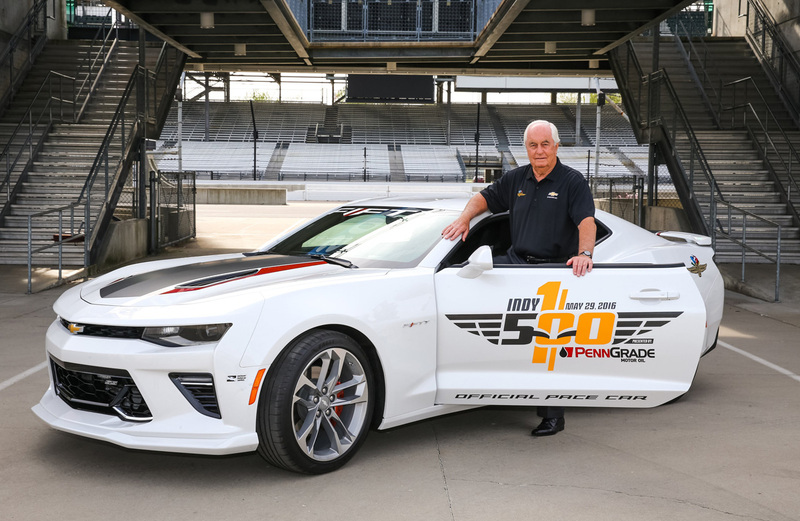 He celebrates himself 50 years as a racing team owner, along with Chevrolet’s 50 years of Camaro. 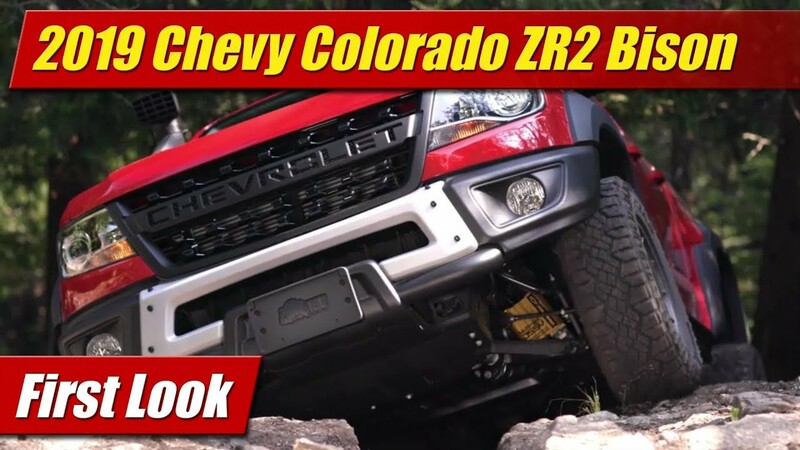 I want to thank Chevrolet for helping us out with some great video footage. 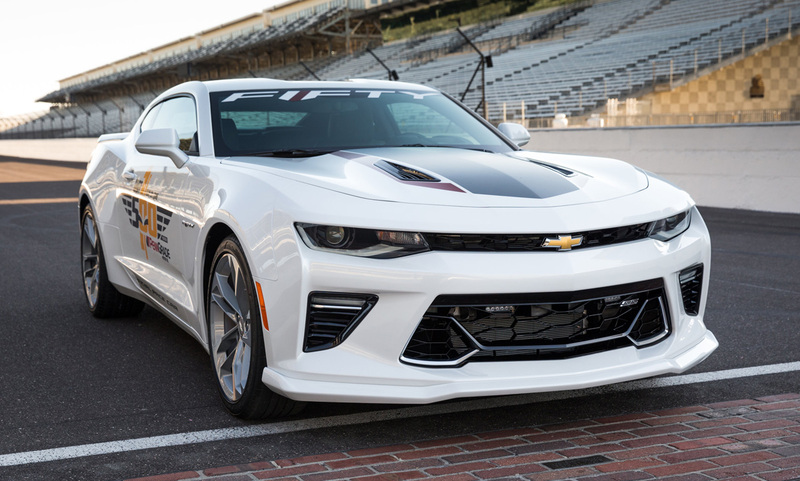 The 2017 Chevrolet Camaro 50th Anniversary Edition goes on sale this summer with more information to come.